Propensity score variable option added ! Update history is shown here. Please cite the following paper as a reference for scientific papers in which EZR is used as a statistical software. This paper has been cited by more than 1500 scientific articles at April 2018. Included in the Softpedia software database with "100% CLEAN" software award. 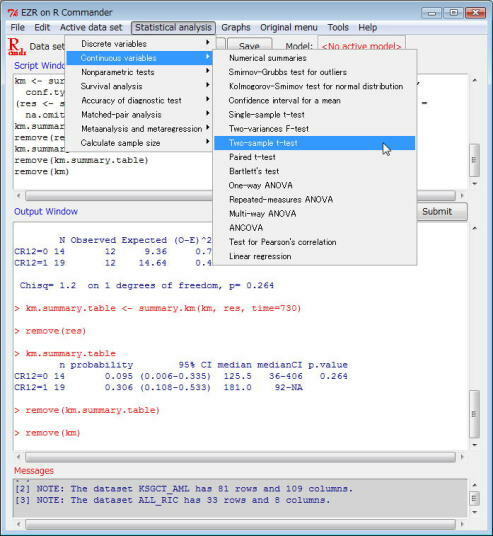 Free statistical software: EZR on R commander R is a free software environment for statistical computing and graphics. R supports many functions for statistical analyses, but it does not incorporate statistical graphical user interface (GUI). 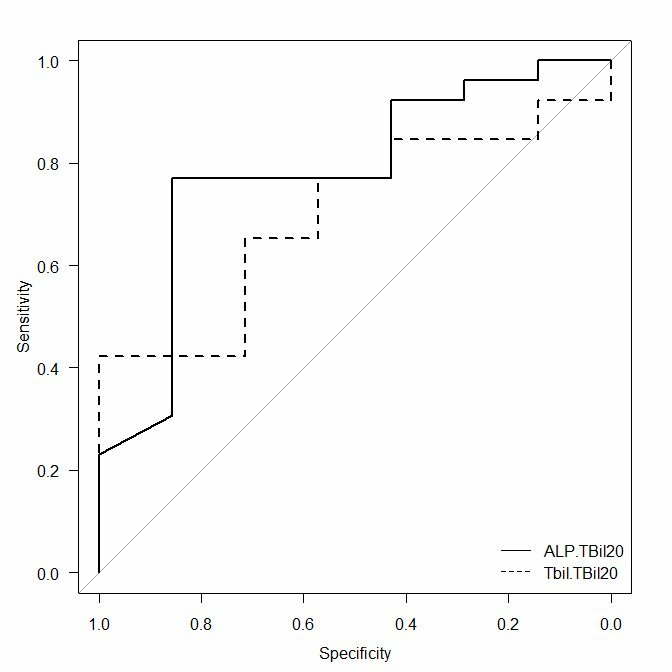 The R commander provides a easy-to-use basic-statistics GUI to R based on Tcl/Tk language. 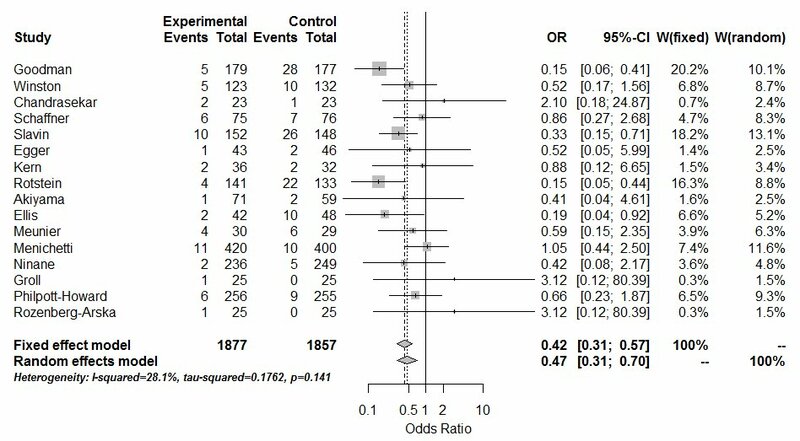 However, the statistical function of the R commander is limited, especially in the field of biostatistics. 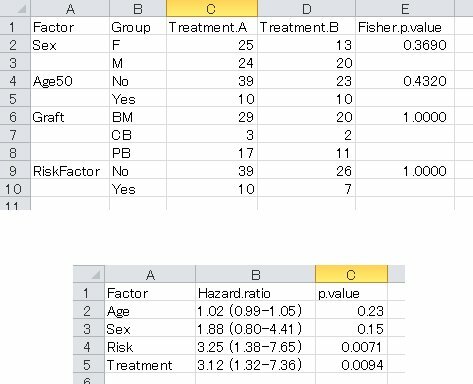 Therfore, we added statistical functions, including survival analyses, ROC analyses, metaanalyses, sample size calculation, and so on, to the R commander. We named it "EZR" (Easy R) and we are distributing it on this page. EZR can import Excel files, CSV files, Stata files, and so on. EZR is now available on CRAN (The Comprehensive R Archive Network) as "RcmdrPlugin.EZR" package. Contact address: Yoshinobu Kanda, M.D., saitama-hem@jichi.ac.jp. A complete manual of EZR is available only in Japanese (Chugai Igakusha, ISBN978-4-498-10901-8), but a report that introduced the investigation of EZR was published in Bone Marrow Transplantation (Nature Publishing Group) as an Open article. It can be freely downloaded from the journal website (Kanda Y. Investigation of the freely available easy-to-use software ‘EZR’ for medical statistics. Bone Marrow Transplantation 2013:48,452-458 advance online publication 3 December 2012; doi: 10.1038/bmt.2012.244). This paper has been cited in more than 2000 articles at December, 2018. Please cite this report as a reference for scientific papers in which EZR is used as a statistical software. 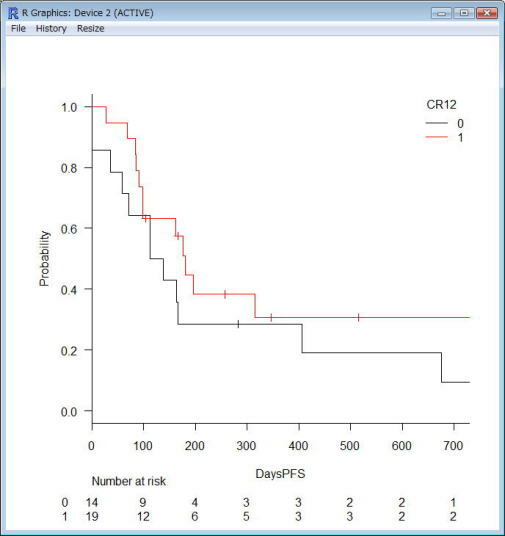 Sample data set that includes 93 fictional patients who received allogeneic stem cell transplantation for acute leukemia. Copyright (c) Division of Hematology, Saitama Medical Center, Jichi Medical University. All Rights Reserved.